Another "Winter Weather Advisory" in the forecast. The kids are watching and hoping for a delay and me, well I would just like one good storm before this Winter calls it a day! One thing I will say about snow and where I live, the Green Tree Borough Department of Public Works does a damn fine job with plowing and snow removal in our area. They keep are streets salted and clear and they even make sure my walking track at the park is good to go. 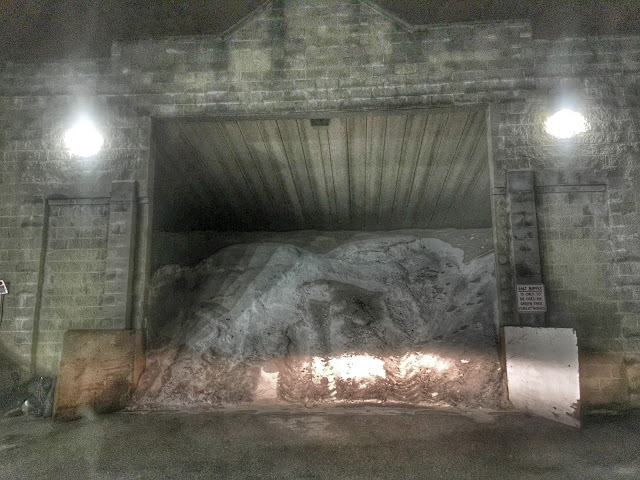 And by the looks of this, are salt supplies are in good shape! So my prediction? A whole lotta nothing and some not so happy kids in the AM.